CRYPTO CRACKDOWN. More than 120 offshore cryptocurrency exchanges have been blocked by Chinese authorities, the South China Morning Post reports. The exact reasoning is not entirely clear — the central bank didn’t respond to calls from SCMP reporters — though some speculate that the crackdown is a response to increasing financial risk and instability. 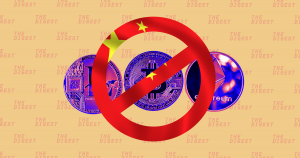 The move comes after local authorities in Beijing banned some hotels from hosting any events that had anything to do with cryptocurrencies, and blocking blockchain news accounts on WeChat (the biggest social media company in the country) last week. SCMP reports that at least eight crypto media outlets on WeChat were affected. CRYPTO WHACK-A-MOLE. China’s antipathy for all things crypto isn’t a surprise. In September 2017, Chinese authorities banned all new ICOs and existing cryptocurrency exchanges in the country. As far as Chinese regulators are concerned, ICOs are nothing but “unauthorized illegal fundraising activities.” And to a certain extent, their worries are justified — many ICOs in China have been found to be complete scams, robbing the Chinese people of their hard-earned cash with dubious claims and promises of wealth. But the government’s attempt to get rid of crypto doesn’t seem to have been very successful. While news of the 2017 ban initially caused the international cryptocurrency market to nosedive, Forbes reports that local Chinese cryptocurrency markets recovered just weeks later. SAFETY ON THE BLOCKCHAIN. Whatever reservations the Chinese government seems to have about cryptocurrency, it doesn’t apply to the blockchain itself. In 2017, China’s central bank opened its own Digital Currency Research Institute near Beijing’s financial district, suggesting that a national state-backed digital currency (read: backed with reserves of fiat currency) on the blockchain might be right around the corner. And China’s IT Ministry opened a research facility called the Trusted Blockchain Open Lab just days after it announced the ban on bitcoin trading, as Coindesk reports. In fact, the central bank already developed a prototype national cryptocurrency last year, but an exact timetable is still unknown. So while banning all things crypto might ostensibly keep the financial system more secure, it might also clear the field for China to release its own cryptocurrency. And as the relationship between the U.S. and China has frayed, a strong digital currency could give China an opportunity to put an end to the U.S. dollar’s dominance. Banning the competition is one way to get there.